We took a nostalgic trip to Sound City Studios in this latest episode, taking in some sweet musical nostalgia from Van Nuys, California . Our tour guide was musician Dave Grohl (Nirvana & Foo Fighters), who directed a fantastic documentary called “Sound City” about the famous rag-tag studio where albums like Neil Young’s “After the Gold Rush”, Fleetwoood Mac’s “Fleetwood Mac”, Cheap Trick’s “Heaven Tonight”, Tom Petty and the Heartbreakers’ “Damn the Torpedoes” and Nirvana’s “Nevermind” (to name a few) were recorded. It was recently screened exclusively at the Patio Theater, on Feb. 8th and 9th and returns for a two-night encore presentation on Feb. 22nd and Feb. 25th! Go check it out! 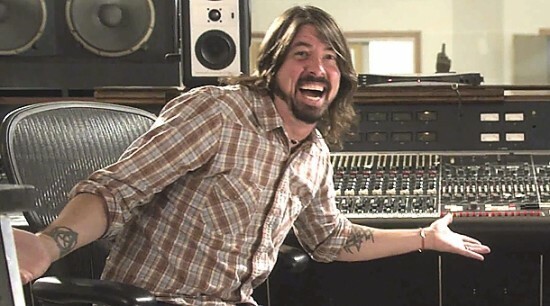 Discussion– we talk Dave Grohl’s documentary “Sound City” and all its rockin’ awesomeness!